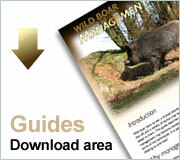 Feral Wild Boar â€“ Where did they come from and what are their impacts? 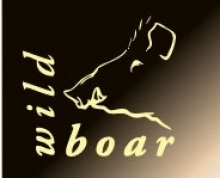 What is a 'wild boar'? The true UK Wild Boar (Central European Boar- Sus scofar) were already becoming rare by the 11th century, as William the Conqueror enacted a law in 1087 which punished the unlawful killing of boar by blinding. Despite attempts to reintroduce boar in the 17th century they disappeared soon after the English Civil War. It is thought that the closest genetic match to the original UK boar can now be found on the continent in Poland and Russia. If you shop for 'wild boar' meat or sausages it is likely that the meat has come from farmed animals that are not truly â€˜wildâ€™ at all. As you may already know these farmed animals that have some of the genetics of the original wild boar, but also have domestic pig in their bloodline as a result of crossbreeding (remembering that domestic pigs are the result of historical selective breeding from the original wild boar). One of the implications of the interaction with domestic pigs is that instead of having litters of up to 6, these crossbreeds have litters of 12-14. As boar were part of our original fauna following the Ice Age those interested in 're-wilding' in the UK argue that re-introductions of these animals should be made, and/or those boar that have escaped from farmed populations and which are living free in the countryside should not be killed. As a result of the mixed bloodline it is probably best to refer to the present population of free living boar in the UK as â€˜feral wild boarâ€™. The current distribution of â€˜feral wild boarâ€™ in the UK is the result of releases, some intentional and some accidental, of animals from farms and zoos. The Deer Initiative has begun recording the sightings of these animals on their Wild Boar website (http://www.wild-boar.org.uk/report_a_sighting ). The Forestry Commission (FC) report that this population first became established through farm escapees in Chase and Penyard Woods in the 1990s. This population was enhanced by a group of approximately 60 that were deliberately released, by persons unknown, near Staunton in 2004. As there was a doubt about the legal status of these animals (in terms of their ownership and the responsibility for them) at the time they were allowed to develop as a free-living population. The FC was caught in the middle of the debate concerning the boar. One side arguing that they should be left alone, and the other side wanting action to control the population due to negative impacts. The FC embarked on research to understand the true population on public forest estate land and arrangements were made with local people to manage the boar population by culling, but not eradication. The aim was to try to achieve a target total population of 400. Despite that culling effort subsequent population surveys found that the number had grown to a minimum of 800. At this level and with the prospect of breeding sows capable of having litters of up to 14, the population is likely to continue to grow very quickly. This magnitude of population growth mimics the experience of European countries, even where there is a tradition of hunting as the accepted method of control. An increasing population of feral wild boar would not be a concern if the habitat were suitable to support it and if there were no or limited negative impacts on human activity. Residents of the Forest of Dean will be aware of the numerous reports in the local press that cover the interactions that boar have with human society. Boar have the habit of rooting in the ground with their snouts when looking for food. In woodland this rooting may have some positive benefits, which is turning over the ground and allowing certain species of flora to grow, producing greater botanic biodiversity. At the same time the boar will be predating insects, larvae, eggs, nesting birds, earth worms, small mammals and carrion. A negative impact is inevitable when boar root in recreational areas (cricket pitches, golf courses, football pitches, public picnic spots, road verges etc. ), domestic gardens, and on agricultural land. Livestock agriculture is also threatened by boar as they break through fences and are potential carriers of diseases such as bovine tuberculosis, swine fever and foot and mouth disease. There are also many concerns regarding public safety. The FC post warning signs and advise people not to walk through dense woodland or thick cover. There are additional concerns for dogs as many have been injured in attacks by boar using their tusks. In the Forest of Dean the number of car accidents involving boar are now surpassing the number caused by wild deer. Due to the size and weight of a mature feral wild boar this is a significant concern and you may be aware of reports of a recent human fatality involving a vehicle collision with a boar, on the M4 in Wiltshire. The spread of feral wild boar away from the public forest estate mean that the full responsibility for managing the feral wild boar can no longer be carried out by the FC alone. The Deer Initiative is now working with the FC to create a management group to include both deer and feral wild boar on a landscape scale.